I really love it when I find storage items. I have so many bits and bobs (mostly acquired from charity shops! ), but I like to keep the surfaces in my home as clear as possible, so tins and boxes are the perfect way for me to feel tidy and organised! This modern tin with an atomic design was 40p. I'm not a huge fan of Emma Bridgewater, but this sweet little child's cup will be a gift for a friend's toddler. It says "I love my hot chocolate". 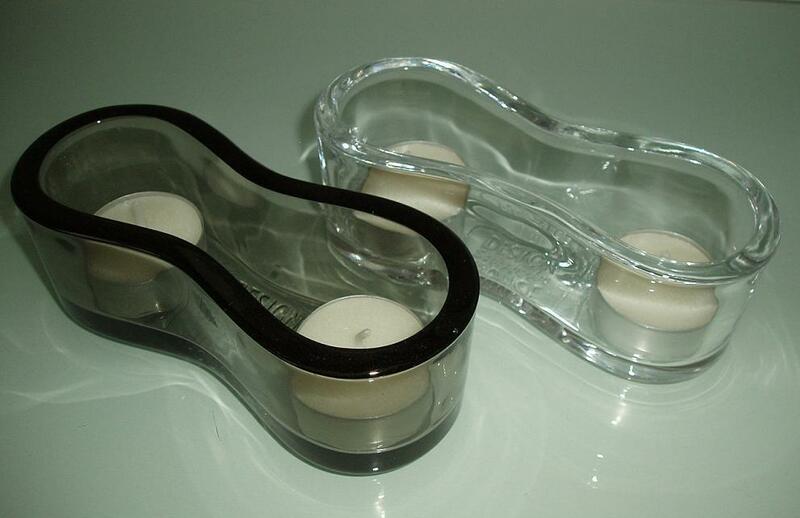 I seem to keep picking up tealight holders, particularly Scandinavian designed ones. These are from "Design House Stockholm", and although they look quite unremarkable at first glance, they give a lovely effect when the candles are lit, especially on my glass-topped sideboard. They are designed to stack in a kind of interlocking way. I paid £2 for the pair. These are the only scented candles I ever buy, they really do smell like an open window, or line-dried washing. Not thrifted, but we were on the subject of candles and I have to put something in all these candle-holders I keep buying! £3.25 for 6 at John Lewis. 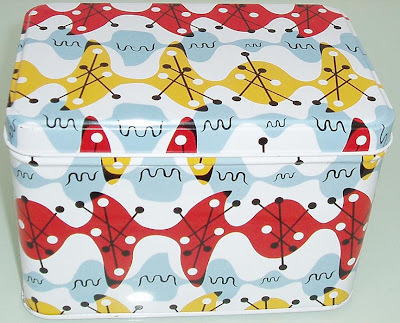 Great finds, I love an atomic pattern - that tin is lovely and a complete bargain. Love scented candles too, bit obsessed. Will have to try those. Interesting candles. Line dried clothes are my most favourite scent. Will need to keep an eye out for them. 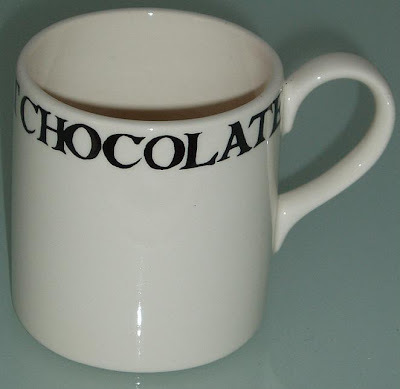 Lovely mug, a bit too precious for a toddler! 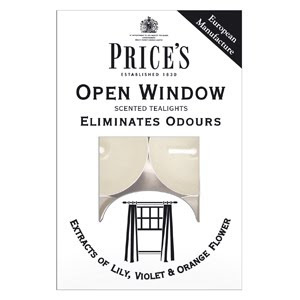 The whole Price's odour-eliminating range is nice, but "Open Window" are my favourites. Good point, Madison, maybe I'll keep the mug a couple more years! Laurie - Snap! - I've just been over at your blog commenting on your beautiful (proper vintage) atomic tin! I just love love love that tin!